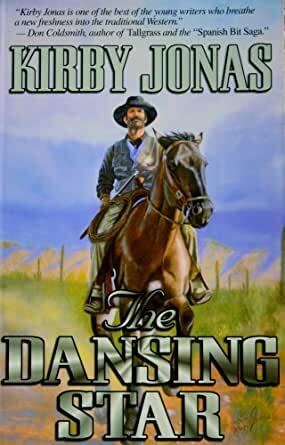 The Dansing Star - Kindle edition by KIRBY JONAS. Literature & Fiction Kindle eBooks @ Amazon.com. In 1879, a bank was robbed in Tucson, Arizona Territory. Deputy Sheriff Mort Dansing was the senior lawman on duty, and as such he was in charge of the posse that rode into the desert to catch the robbers. Unfortunately, all sign disappeared in a freak sandstorm, and the posse returned to Tucson in shame. When a good friend of Dansing's is later killed, he is a member of the posse that goes after her. However, the Apaches have jumped their reservation and gone on the warpath, and the bulk of the posse chooses for safety to return to their homes. Only Dansing and his partner continue. Dansing, who was partially raised by the Apaches, has both friends and enemies among them. But it is the war chief, Horse Hate, who surrounds Dansing in a deserted cabin in the desert, who is his worst enemy. Here in this lonely cabin, Dansing, his partner, four hardened men and one lonely woman must make a stand against over fifty Apache warriors bent on their destruction. Available Matchbook Price: $0.00 What's this? "Kirby Jonas is one of the best of the young writers who breathe a new freshness into the traditional Western." -- Don Coldsmith, author of Tallgrass and the "Spanish Bit Saga"
Kirby Frank Jonas was born in 1965 in Bozeman, Montana. He lived in a place called Bear Canyon, where sagebrush gave way to spruce and fir, and the wild country was forever ingrained in him. It was there he gained his love of the Old West, listening to his daddy tell stories and sing western ballads, and watching television Westerns such as Gunsmoke, The Virginian, and the Big Valley. Jonas next lived on a remote farm in the middle of Civil War battlefield country near Broad Run, Virginia. That was followed by a move to Shelley,d IDaho, where he completed all of his school years, wrote his first book in the sixth grade and his second as a senior in high school. He has since written five published novels and two which are forthcoming, one which was co-authored by his older brother, Jamie. Besides writing novels, Jonas also paints wildlife and the West. He has done all of his cover art and hundreds of other pieces. He is a songwriter and guitar player and singer of old Western ballads and trail songs. Jonas enjoys the joking title given to him by his friends,"The Renaissance Cowboy." After living in Arizona to research his first two published books, and traveling through nine countries in Europe, to get his glimpse of the world, Jonas settled permanently in Pocatello, Idaho. He has made a living fighting forest fires for the Bureau of Land Management in five western states, worked for the Idaho Fish and Game Department, been a security guard and a guard for Wells Fargo in Phoenix, Arizona. He was employed as an officer for the Pocatello city police and currently works as a city firefighter. He and his wife, Debbie, have four children, Cheyenne Kaycee, Jacob Talon, Clay Logan, and Matthew Morgan. "Much Ado About Nothing"-"I Think Not"!!! Do you like T-Bone steak, porterhouse, filet mignon, ribeye?? If you think about it they are all fine cuts of steak, but just as you like it prepared from rare to well done its all a matter of preference. Now that I have read my first Kirby Jonas book I will repeat myself "Much Ado About Nothing"-"I Think Not"!! Cutting to the chase, I have been reading westerns since I was very young, as I was introduced to them by my grandfather bless his soul. Just as I like my steak I have my preferences in westerns such as the great Louis Lamour reading all I could growing up and later in life finding Elmer Kelton both two of the greats. Now that I have read my first Kirby Jonas book after reading all the reviews which was probably spurred on mainly by "The Virginian" (James Drury) and his glowing review I can honestly say I now understand all the buzz and hype. People in some of the reviews are splitting hairs, as I see it this is a fine book and will rate up in my mind with some of the other greats I have read....again they all write with a bold splash Lamour with a bold picture of the west and Kelton quite the story teller as with all authors each a little different...here with Jonas perhaps you get a different flair and a different style nonetheless I feel a fantastic western and well told! The main character James Morton or Dansing Star is a strong main character and one that is well depicted. The story is set up well as you learn about the main character along the way and other supporting characters are well developed too like his cowboy friend Dan Hough (likeable and trushworty, but green) as well as some of his Apache friends. 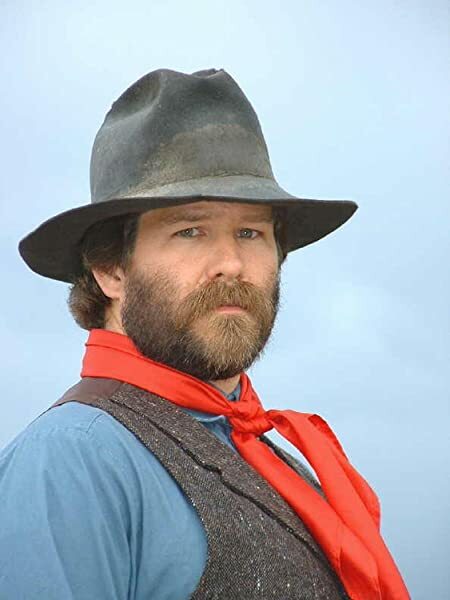 The bad sorts are well developed and along the way these bad sorts are set up and you feel yourself developing a huge dislike for them, such as his long time nemesis the Apache warrior Angry, He Kills His Horses and other bad sorts such as the hateful Hank Pierce, the gringo McGaba, to name a few. These bold characters are painted on a huge canvas of the old west with great storytelling. Almost like in my younger years going on a trip with family it was much anticipated and exciting and rarely was I dissappointed with the adventure. This book in particular by Kirby Jonas if you wish to embark will be somewhat like that a great adventure or in this case a great read, along the way you will meet characters that will stick with you as do visions of the old west. Too like those trips once you are finished embarking you will be left with memories and the sadness that it has all come to end! What else can I say if you love some of the other great westerns and no matter what other authors you enjoy or prefer I can't see how you would ever be thwarted or be failed to be pleased by picking up this fantastic book. Bravo Kirby Jonas to a western well written and I am looking forward to reading and embarking on another adventure soon as I also picked up one of your other books Legend of the Tumbleweed. This was a good read,the author has all the characters in the right place at the right time. The story has a lot of action and suspense that is needed to make this a special story. This book got me fascinated to the point I didn't want to put it down. Having travelled in that area as a snowbird, it made the locations familiar and interesting. 5.0 out of 5 starsThe Dansing Star Shines Bright! This tightly written, action packed western kept me coming back for more. It grabbed my attention and held it captive through every twist and unexpected turn. This is a dance you do not want to miss if you appreciate the Old West and the tales that do it honor. 4.0 out of 5 starsA good read for western lovers! A good read for fans of these authors. Very good description of desert life and conditions as well as the people who lived there at this particular period of time. Plot is steady with lots of turns. The characters are drawn well. Some of it is pedantic. I stumbled across "The Dansing Star" because of a review written by James Drury. He was my favorite TV star during the 1960s. He always hit his target as the Virginian and his aim is still good. Kirby Jonas has written a very good book that has peaked my interest in his other books. A small note to James Drury; I watched the latest movie remake of "The Virginian" just to see your small role. It would have been a much better movie if you had played the title role! Another good book by Kirby Jonas! Everything I've read by this author is so feel written, it really holds a person's interest. I highly recommend this book! 5.0 out of 5 starsExcellent book by a very good author - I loved it. This is the fourth Kirby Jonas novel I've read. Like the others, I loved it. It's a good read. I'd recommend it to anyone who enjoys Western novels. Matter of fact, I enjoy Kirby's books as much as those written by Louie Lamour.